It’s hard to miss the popularity of the “ikat” weave. Found in Asia, Europe, Africa and South America , this hand-woven fabric is used for apparel, furnishing and more. The “ikat” weave is much appreciated for its beauty alone, but also because it’s complicated pattern is difficult to craft, especially when several colours are part of the design, it does carry a high level of prestige, too. The word “ikat” comes from the Malay-Indonesian word for “tie”; it was introduced to Europe when the Dutch began paying attention to the rich textile traditions of the Netherlands Indies, which is present-day Indonesia. While the origin of “ikat ” could be from either Southeast Asia, or India, or even Central Asia – it has been found in South America, Africa and even Europe. This loom-woven textile is created by an amazing process. A master weaver first ties bundles of warp threads in precise patterns to prepare for coloured dyes. It is a more intricate resist-dyeing technique where tied patterns must accurately match the planned fabric design. Next the weaver secures the dyed warp threads to the loom and checks for accuracy. Then he weaves the weft thread through, and the fabric design emerges. Depending on whether the tied fibres are applied to the warp or weft, the technique is identified as either warp “ikat” or weft “ikat”. A third variety, double “ikat”, combines both warp- and weft-tied resist. Double ”ikat” textiles take even more skill to make. For these, the weaver also bundles and dyes the weft thread in patterns. He then weaves the weft and warp to cross precisely so that colors match up and form the planned motif. 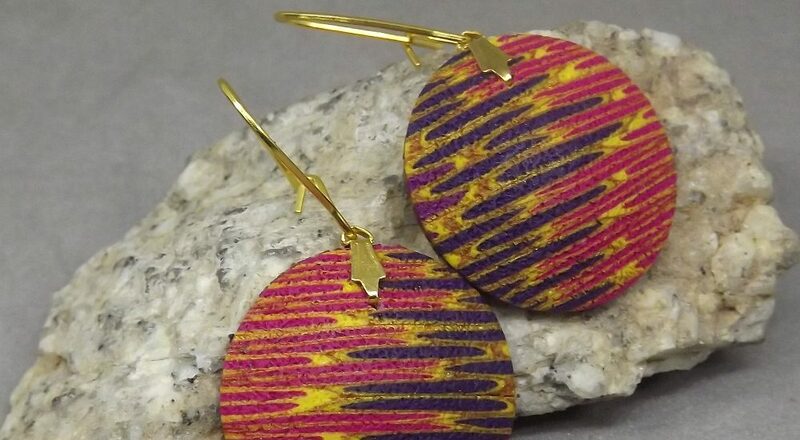 These “ikats” are rich in colour. India and Southeast Asia are the regions that showcase the greatest diversity of “ikat” weaving, with all three technical versions that have been developed to create an amazing variety of designs. 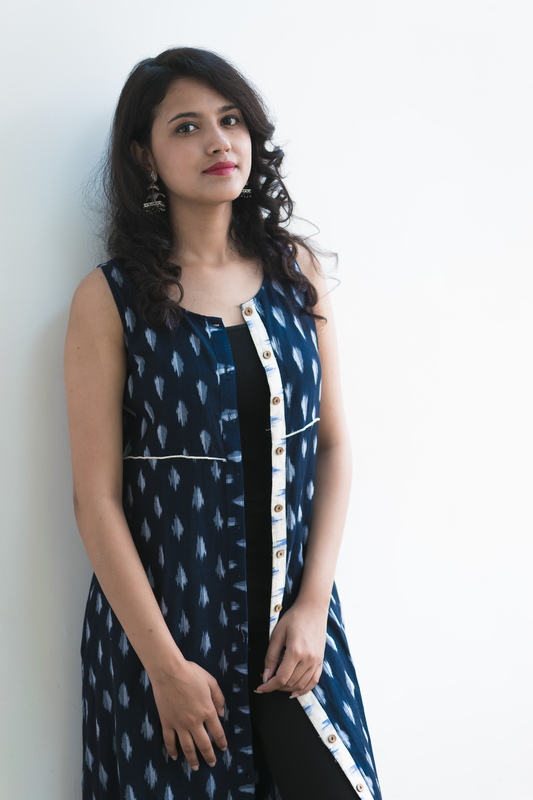 “Ikat” today makes a stylish expression with woven fabric used to create both bespoke and pret apparel, home- furnishings, lifestyle accents and accessories. 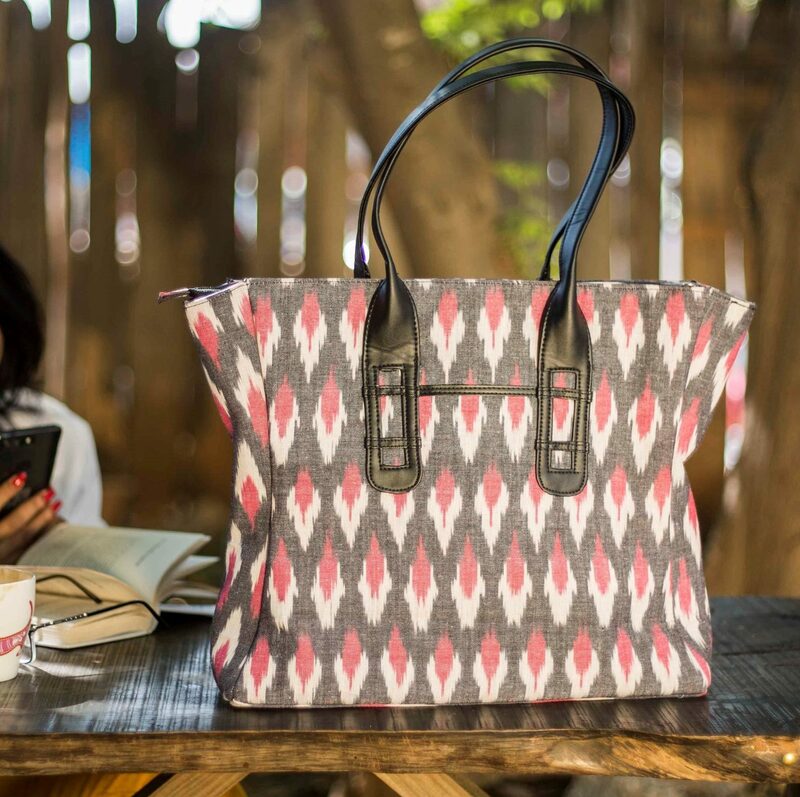 The ikat motif is also a favourite with designers – popping up in the most unexpected of places such as a tab cover, a phone case and even a sipper. Our curated selection of “ikat” themed craft is now showcased on WorldArtCommunity. View and buy from our selection of riches.